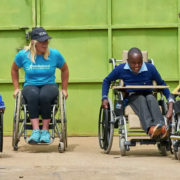 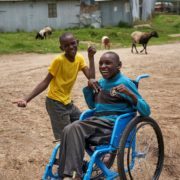 Walkabout Ambassador Arielle Rausin, a 21-year-old Team USA Paralympic athlete from Florida, joined us in Kenya in 2017, after raising enough money for 10 wheelchairs in the 2017 London Marathon. 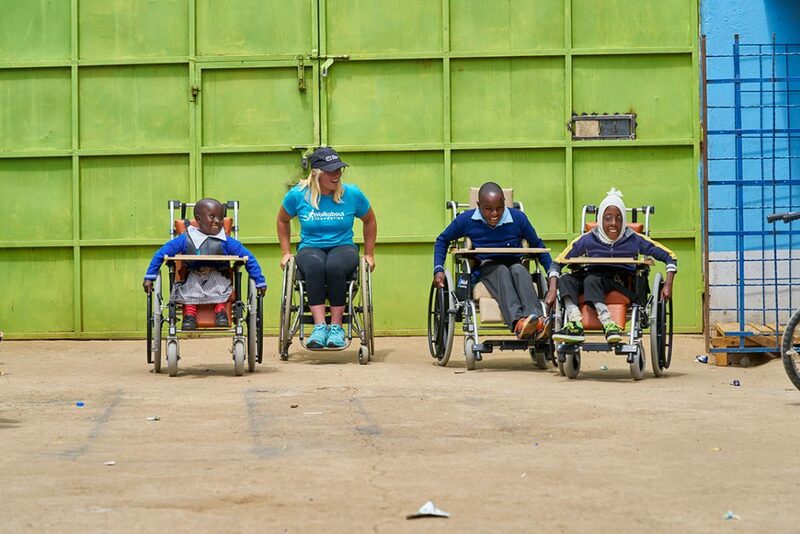 All the children on the distribution loved talking to Arielle about her racing, and she taught them how to push and transfer into their new chairs. 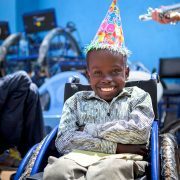 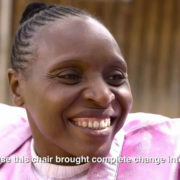 For many of the recipients, and for their parents, meeting Arielle demonstrated first-hand all the possibilities that are available with the mobility of a wheelchair. 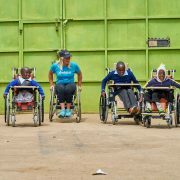 And there really is no better way to learn how to use your first ever wheelchair than practicing with a world-class athlete!